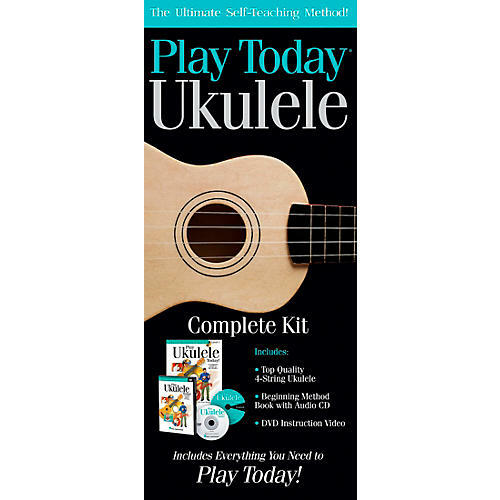 The Play Today Ukulele Complete kit contains everything a beginner needs to get started playing everyone's favorite fun folk instrument – the ukulele. The Play Ukulele Today! Level One method book includes over 75 songs and examples, common chords and expressions, picking and strumming techniques, and playing tips in standard notation and tablature. The CD includes 99 demonstration tracks to help you along the way. The DVD makes sure you're getting it all just right. Pick this pack up and you'll be playing the uke in no time.